The iPhone 3G for most is with 2.2.1 firmware, so the update to 3.0 would be great as its coming in with very cool features like spotlight, cut/copy/paste, voice memo and many other great features which are worth checking and that makes one motivate to update their iPhone firmware. Connect your iPhone 3G to your mac or computer, and you will see iTunes opened prompting you to upgrade the iPhone firmware to the latest version. Confirm that and it will ask you if you want to continue with the software update. Click on Update. Agree to the terms and conditions, and also read if you wish, the latest changes that you are going to find with the new firmware 3.0 that are listed on the terms page. Once you agree to the terms and confirm the things, the download will start and will appear in the iTunes window under downloads section. Many users complained that the download stopped in middle, as iTunes could not connect to the server. The reason was probably due to the high demand of downloads for the first few days after the release. 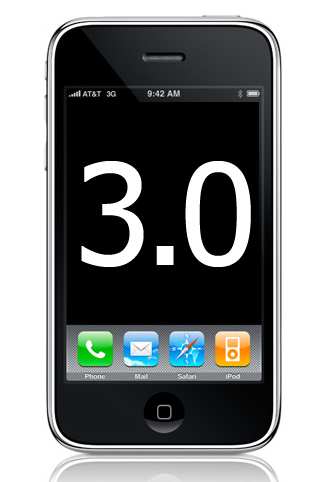 You can alternatively download iPhone 3.0 firmware. Once the download finishes, open the downloaded file from iTunes and the extraction of the software starts instantly. 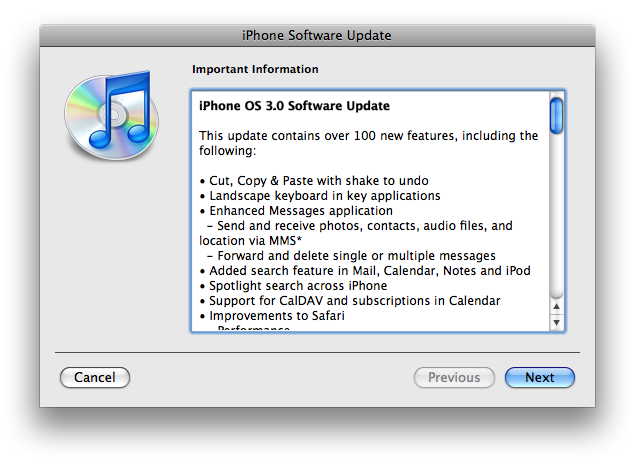 After the software is extracted, the iPhone 3G is prepared for the software update. Settings from the iPhone also would be needed for the upgrade to happen. So iTunes would have to wait for sometime till everyting is set for iPhone. All the data from the iPhone including the contacts, apps, songs, movies, photos etc. are backed up so that they can be restored back after the software update is finished. 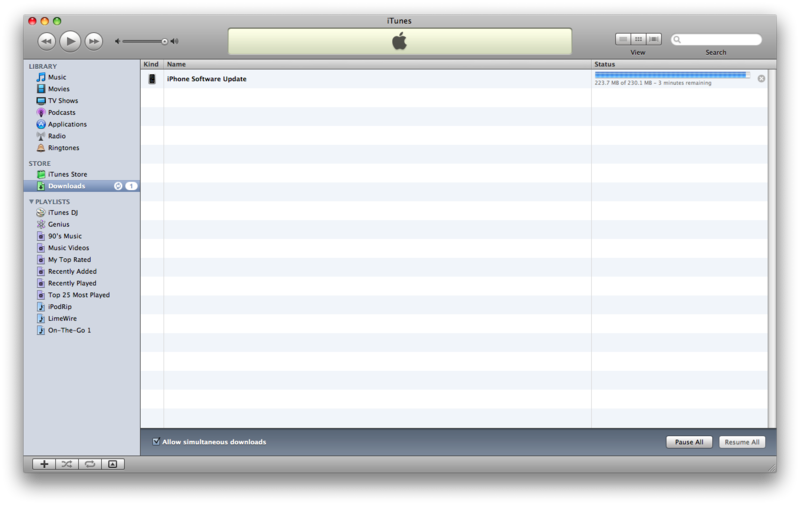 After the iPhone is backed up, the actual update of the firmware to 3.0 starts. When the iPhone software is updated, iTunes verifies the new version with the server and confirms that the update is done successfully. Once the update is done and verified, the iPhone automatically restarts and you would then see the new firmware active in the iPhone.